Yesterday was my holiday. I thought that I will go for a movie. 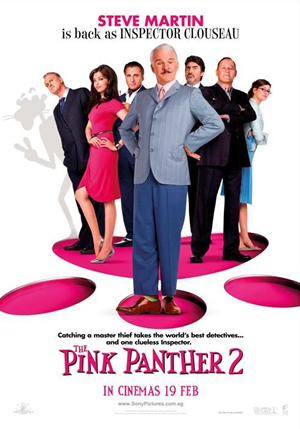 I heard Pink Panther 2 has been released in Dhaka. I went to Star Cineplex at Bashundhara City mall to get the timing. I haven’t gone there (Cineplex) before. I reached at 4:30pm and saw that a show was going to start at 5:15pm. Without thinking much I bought a ticket and went in to the hall. I found Star Cineplex is a very nice place to watch movie. I enjoyed this movie very much. It was full of comedy. And the actors done a great job. From first to last I laughed. Though I found thrill not that much and the ending could be better, but I enjoyed comedy. I have seen many people went to see this movie may be for Aishwarya Rai as she was more focus on the posters at Cineplex. She looked aged, but acted as usual. Steve Martin’s acting is remarkable. I think you should go and watch this movie. Laughter is the best medicine, and this type of films supplies this medicine :). Previous PostIntegration of Payment GatewaysNext PostJob Interview – You passed the test!